Showrunner Angela Kang has confirmed that there will be a time jump when The Walking Dead returns for its ninth season in October, as well as a few other details for the upcoming season. 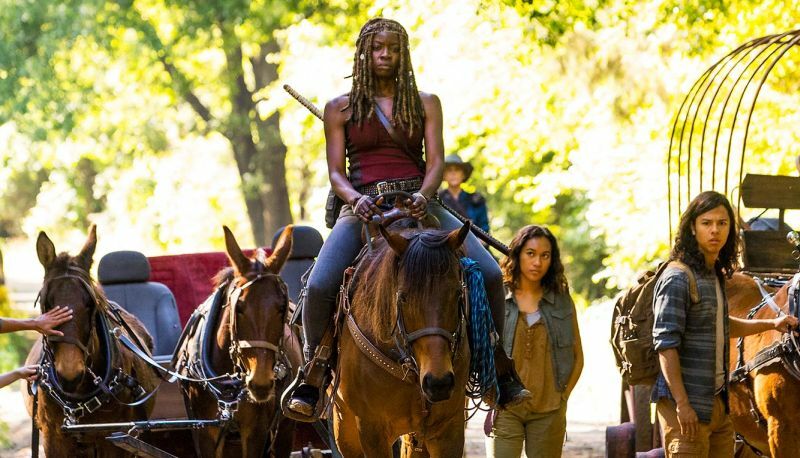 Check out a first look photo for the new season, featuring Michonne on horseback, in the gallery below (via EW). Kang discussed the new chapter of the series with the outlet, saying along with the time jump fans will “explore what happened as man-made objects and structures break down. Infrastructure like roads and bridges are changing and crumbling.” As the physical world changes around them, so will their means to survive as resources are getting low.